Daily Inspiration: There are always flowers for those who want to see them. 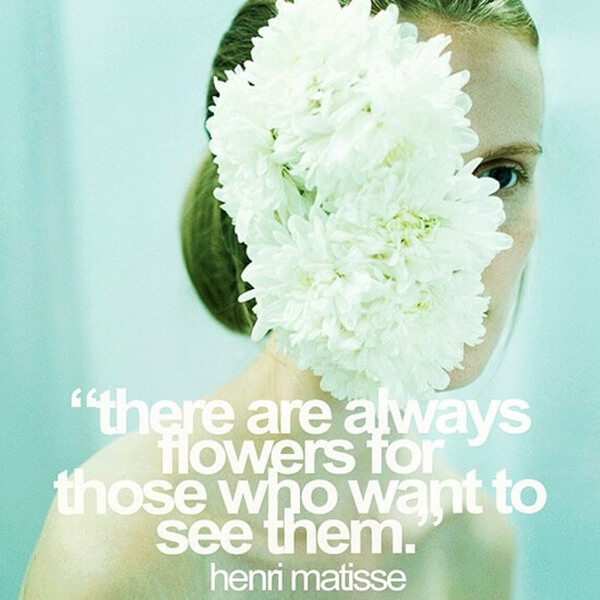 IFB » Daily Inspiration » Daily Inspiration: There are always flowers for those who want to see them. The amazing thing about perception is that it can be changed. You're having a bad day? Look for the good things? Blog not going as expected? Look at what's going right, look for the things that make you happy. It's amazing how when you look at the bright side of things the bright side gets brighter. If you focus on what's going wrong, you'll only see what's going wrong. Look for the flowers, you'll see them, and make your day a lot brighter.